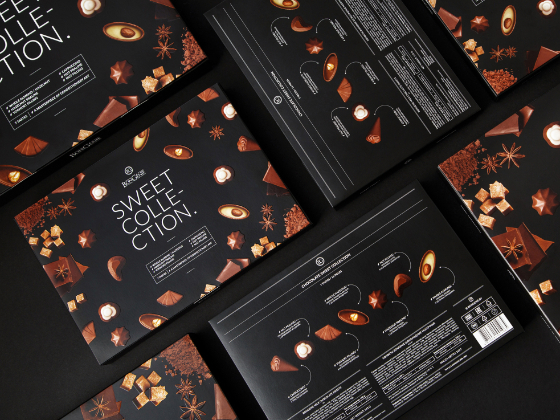 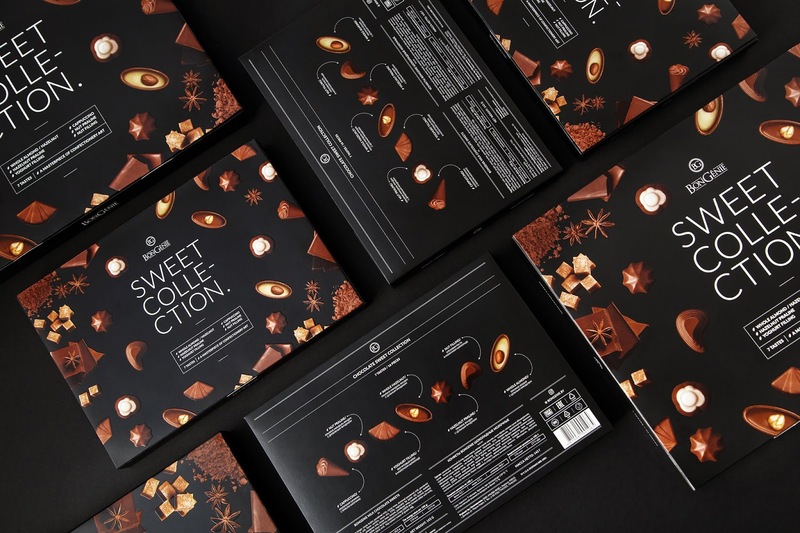 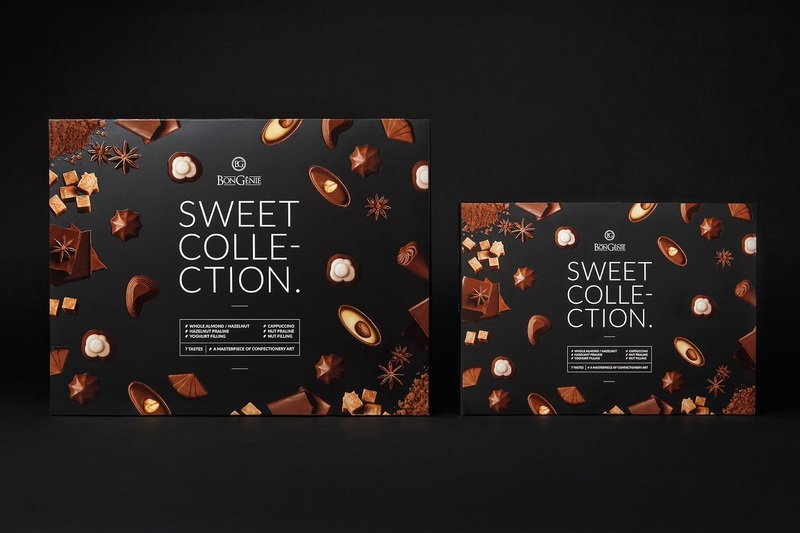 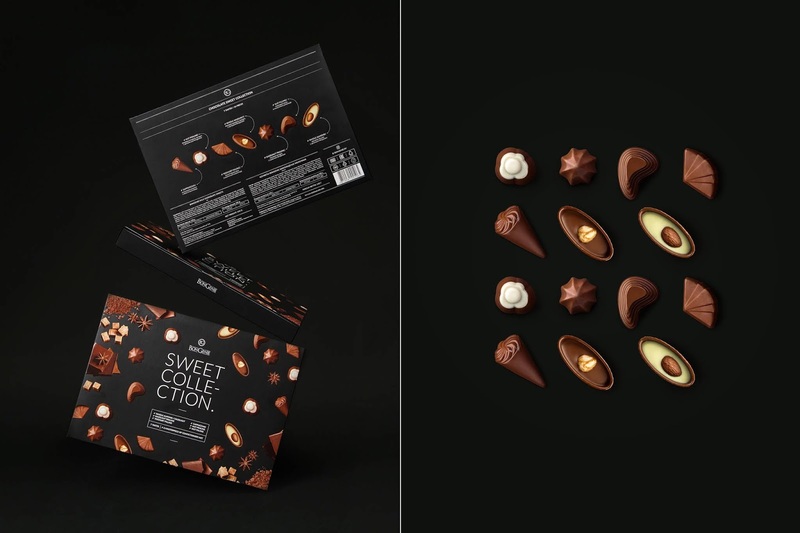 BonGenie is launching Sweet Collection — a new range of chocolates. 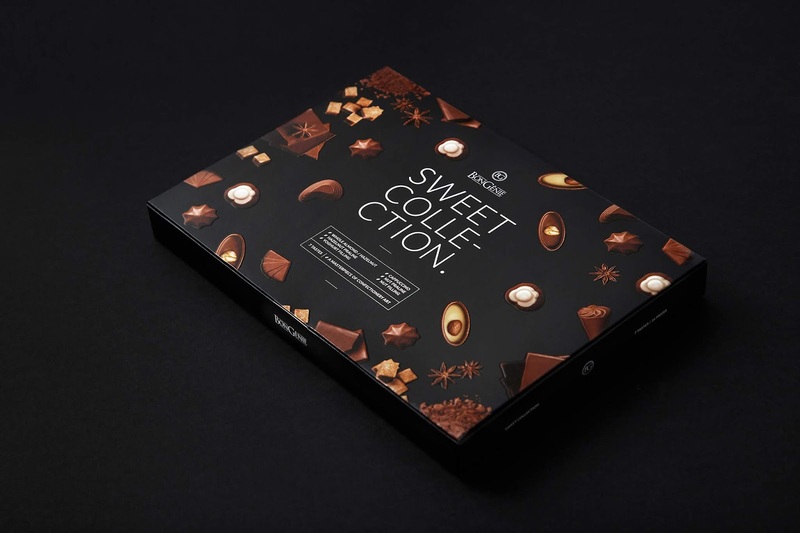 Agency's task is to present the product to the audience while preserving brand awareness and the recognizable and elegant style we developed for it before. 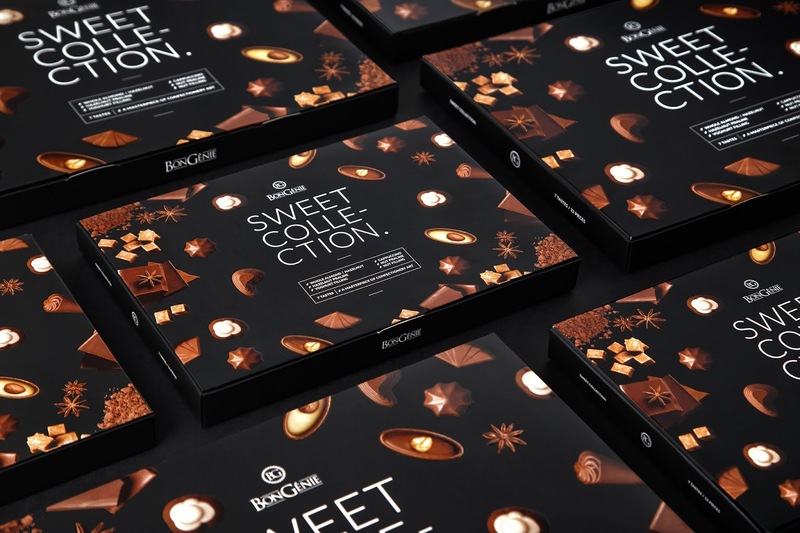 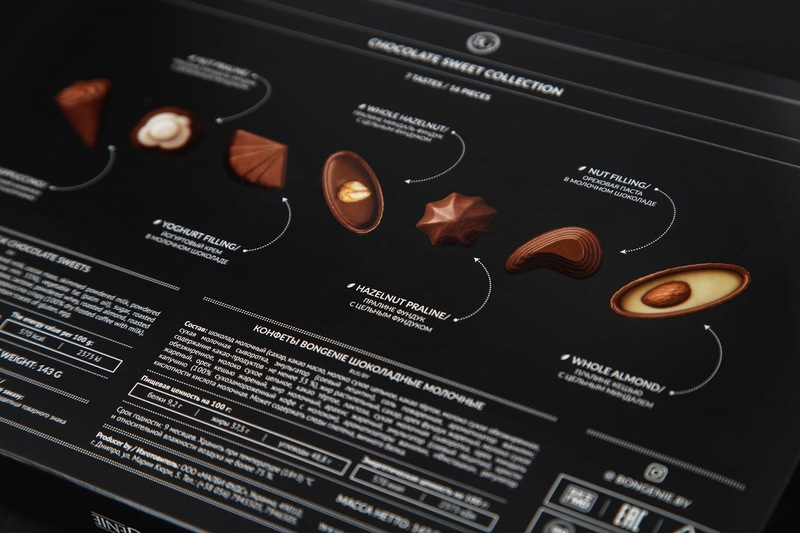 The laconic design is also emphasized by printing features: a special lacquer coating makes the chocolates more visible on the matted velvet-like background, presenting them to the consumers in a more expressive way. 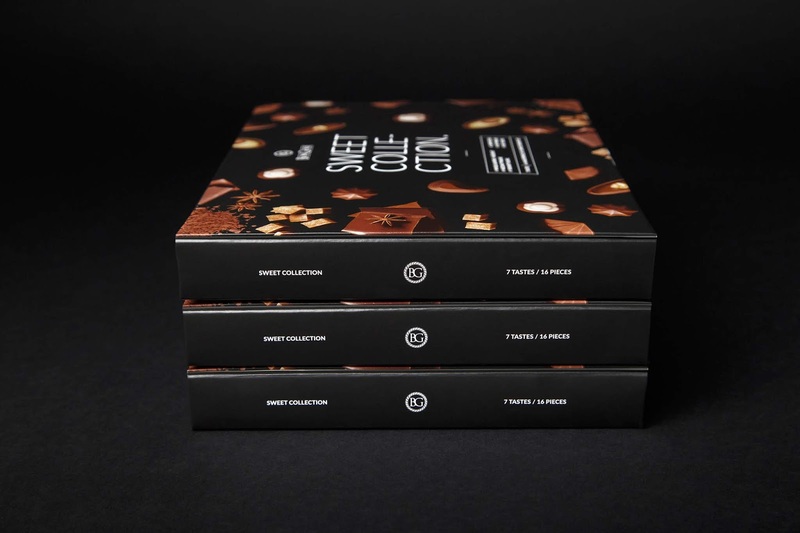 Printing features: a special lacquer coating on the matted velvet-like background.